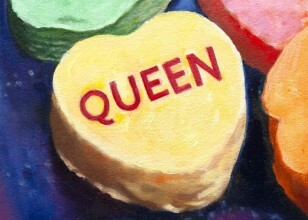 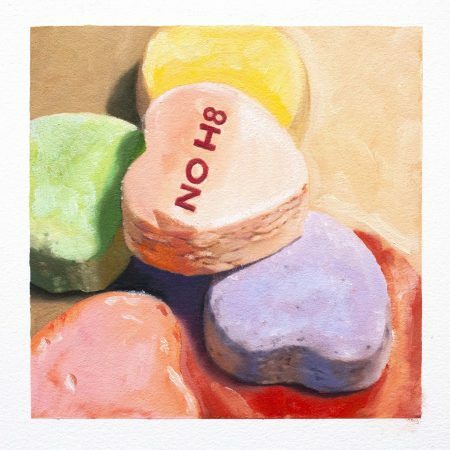 This NO H8 Valentine Candy Oil on Paper by Andrea Alvin is a part of a special collection to celebrate diversity, inclusion, and tolerance. 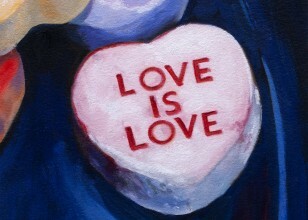 It also coincides with LGBT History Month in the UK, as well as a month in which Valentine's Day reminds everyone what is important, that truly, "Love is Love". 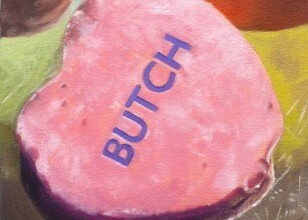 20% of the sale of limited editions from this series goes to The Trevor Project, which helps protect at-risk gay, lesbian, gay, bisexual, transgender, queer and questioning youth.